NTFS partition data recovery software salvage lost or deleted data from NTFS file system partitioned hard disk drive. Data Recovery tool with all advanced features allows users to recover files lost due to accidental deletion, file system corruption, improper system shutdown or any other type of data loss situation. 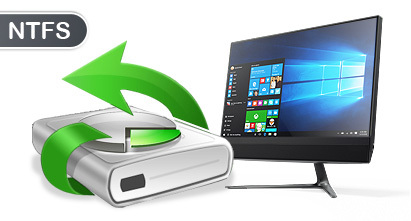 File Recovery Software easily retrieves data from major disk drives including IDE, EIDE, ATA, SATA and SCSI drives available in Seagate, Quantum, Toshiba, Western Digital and other popular hard disk brands. Select partition from which you want to recover lost data files and click 'Next' button to continue. 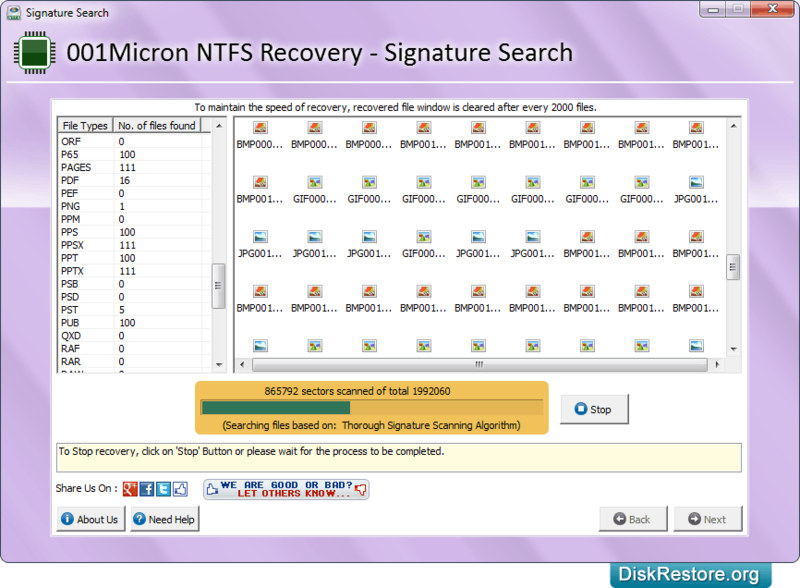 Data recovery process is in progress using Thorough Signature Scanning Algorithm. Click on 'Open Containing Folder' option to view the recovered data files. NTFS data recovery software retrieves and recovers data including text documents, audio/video, images, pictures etc from NTFS and NTFS5 file system supported HDD. 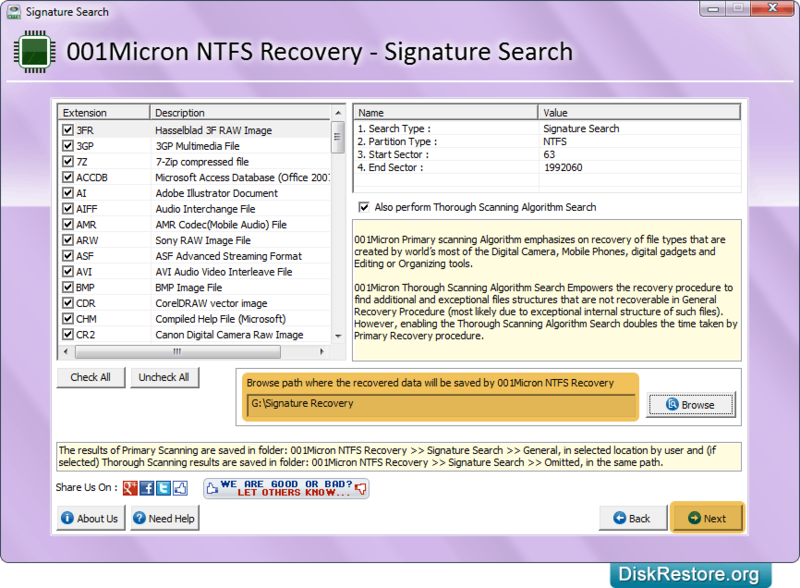 Software provides option to save recovered list of files at user specified location. Recovers files and folders lost from computer hard disk drives. Supports both NTFS and NTFS5 file system. Smoothly works with major hard disk manufacturers such as Quantum, Seagate, Hitachi and many more.